Advertised price is our cash price and does not reflect local, state taxes,tags and other unrelated fees or costs. See dealer for details. Mayfair imports is here to bring a new vibe into the used car business by offering great cars at the best prices available. Prices are subject to change without notice at anytime. See or contact Mayfair Imports Auto Sales Inc for additional information for any vehicles. If you have a question please call Mayfair Imports Auto Sales Inc to receive the correct info for the vehicle you are interested in. All Applicants are subjected to final approval and review. Please feel free to stop by one of our two facilities at 6900 Frankford Ave Philiadelphia, PA and 6250 Torresdale Ave Philiadelphia, PA.or call 215 613 5311. Or if you like to apply online go to apply online and put the info you need to obtain and auto loan. 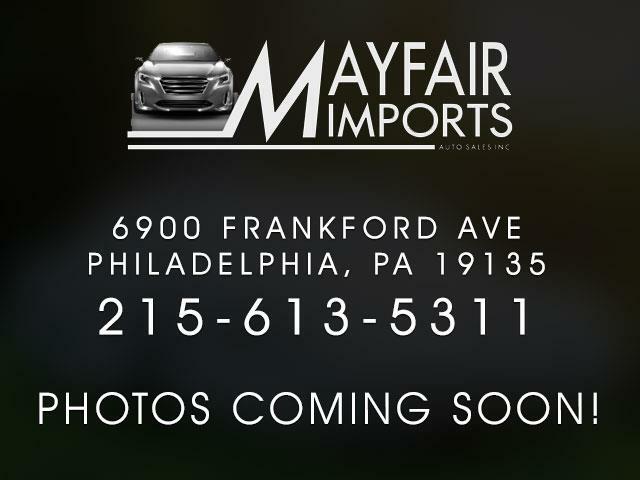 If you are not sure/ or need correct info, or financing questions call Mayfair Imports Auto Sales inc At 215-613-5311. Message: Thought you might be interested in this 2018 Mazda MAZDA6.